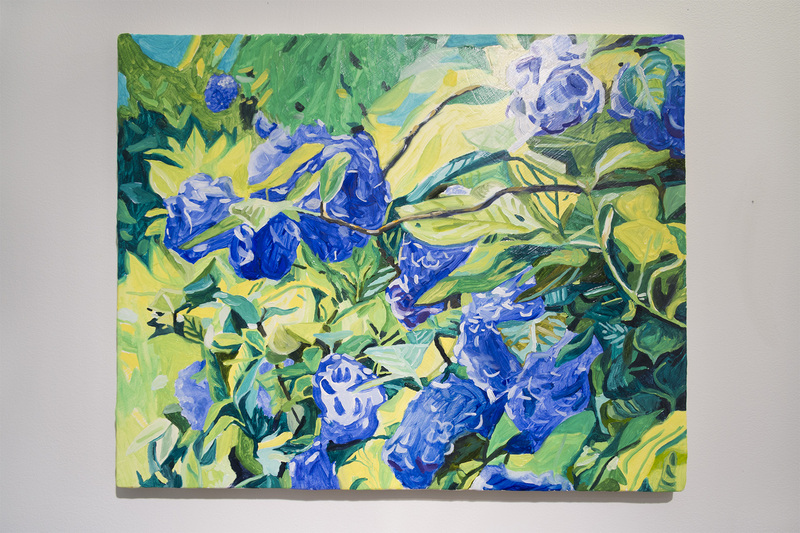 Opening Thursday, April 10, 2014, 7-9 p.m.
Saturday, April 12th, 2:30 p.m.
For its April slot, WAAP is proud to announce a show by 5 artists, 3 from Vancouver, 1 from Toronto and a 5th from Auckland, New Zealand. 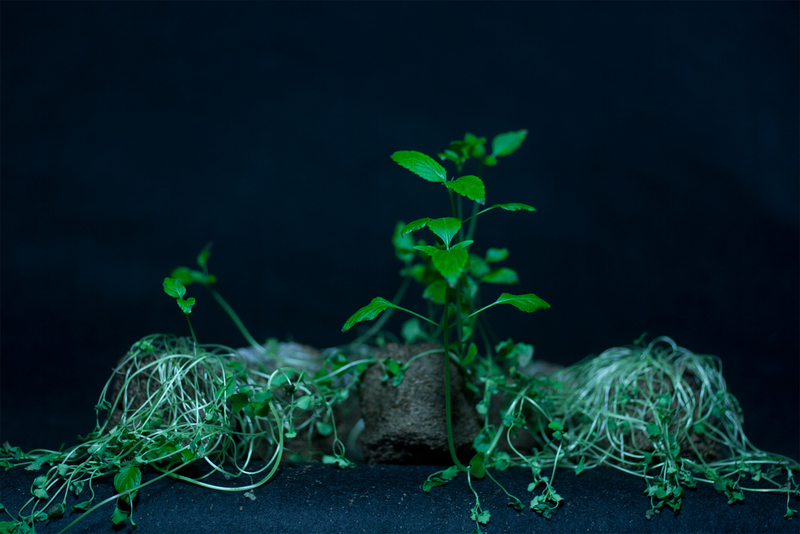 This spring exhibition will use plant and flora imagery to explore perennial matters such as economic policies, financial crises, the art market and immigration. 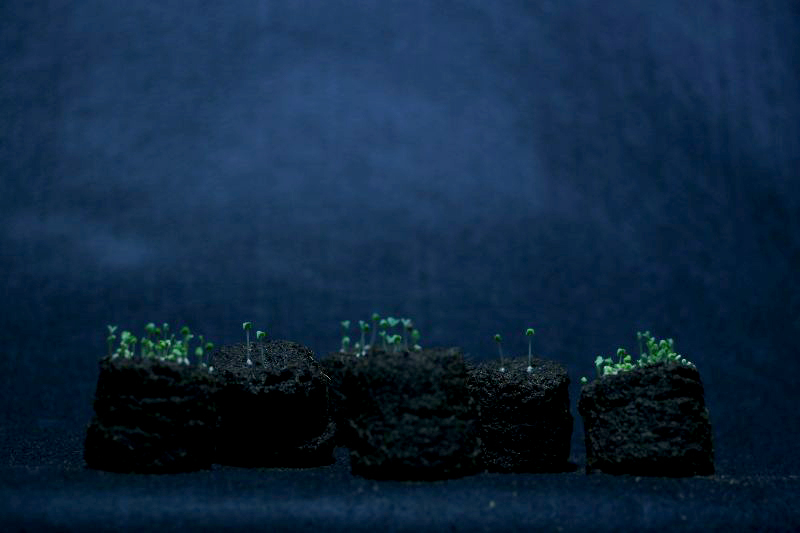 Time is simultaneously slowed down and sped up in Sarah Smuts Kennedy’s Principle of Hope, a stop-motion animation described by the artist as a ‘poetic drama of cause and effect’ that documents the life cycle of six colonies of chia seedlings, a rediscovered Aztec super food traded as currency and banned by the colonising Spanish. 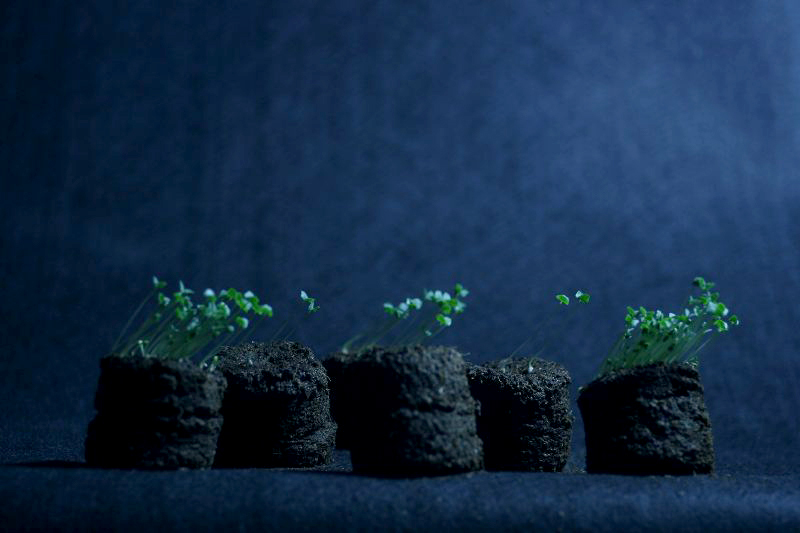 Principle of Hope follows the utopian impulse using the aesthetic strategy of modelling possible ‘what if’ scenarios, in this case the cause and effect implications current global economic policy of growth has on resource use and demand. 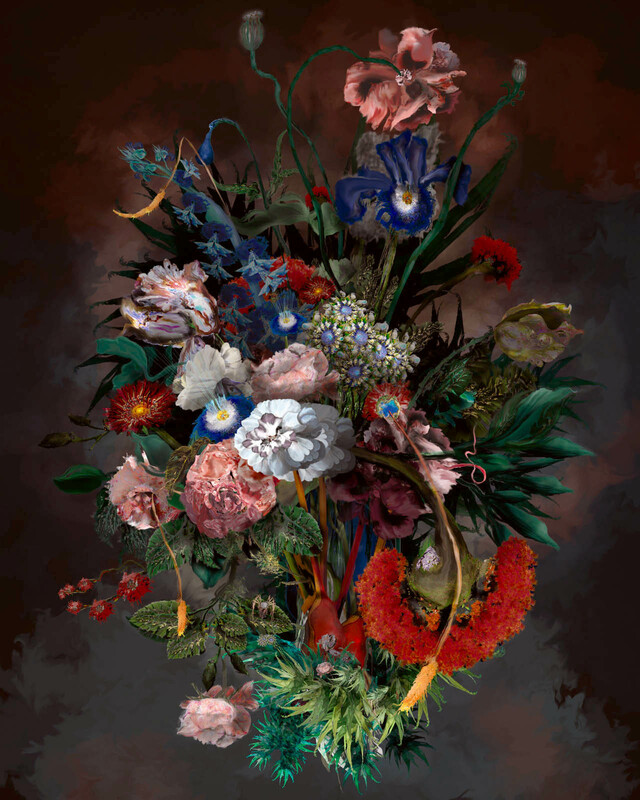 Jeffrey Hallbauer‘s exposure to flowers as a florist allowed him to reflect upon the way flowers mimic many aspects of contemporary life, such as beauty, money, manipulated nature, mortality, the reproductive cycle, etc. 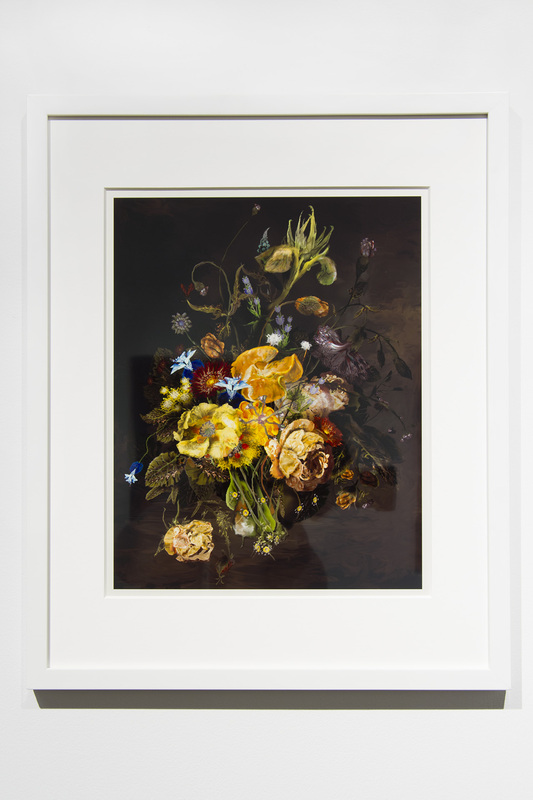 With his new series of flowers, there is a persistence of the beauty that surrounds rife with contradictions and allegory that relates to other works in this exhibition. 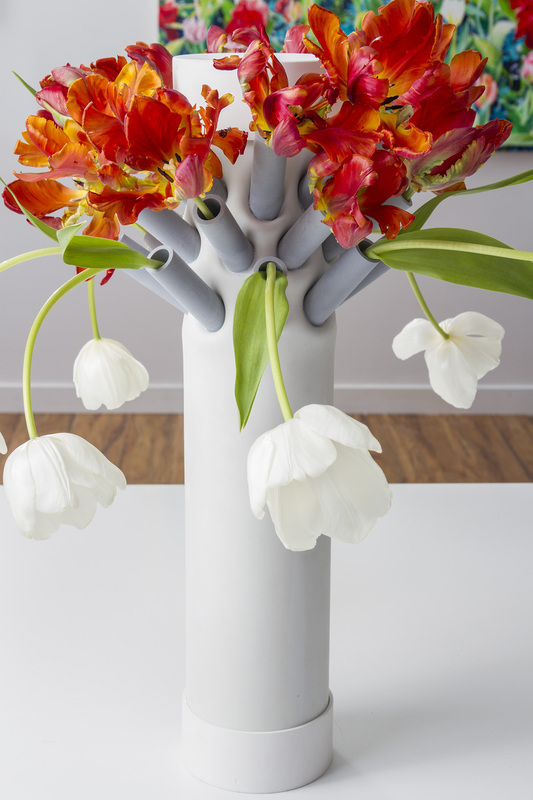 Michael Drebert will exhbit a sculptural work using white lilies, specifically the scent of the lilies’ blossoms as a way of enabling a sensual but also formal experience. 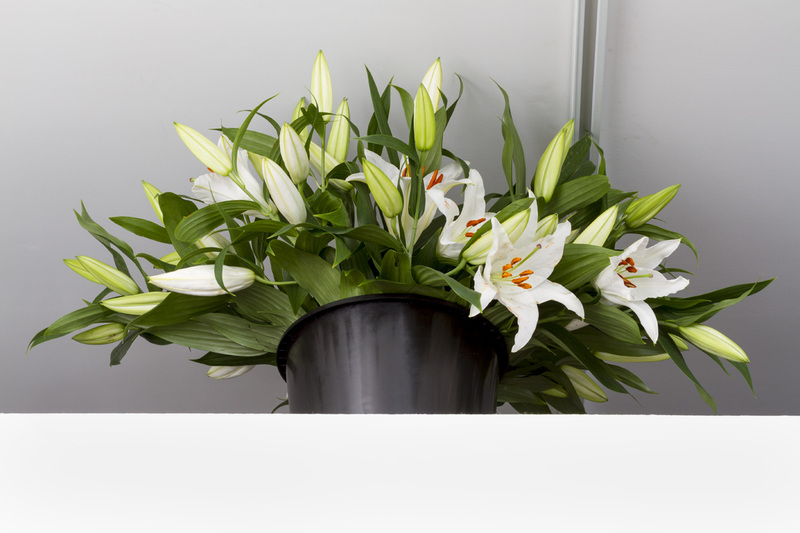 Cut flowers bring the essence of the outside inside, through the freshness of their blooms, but also the inevitable and necessary degradation of their matter. 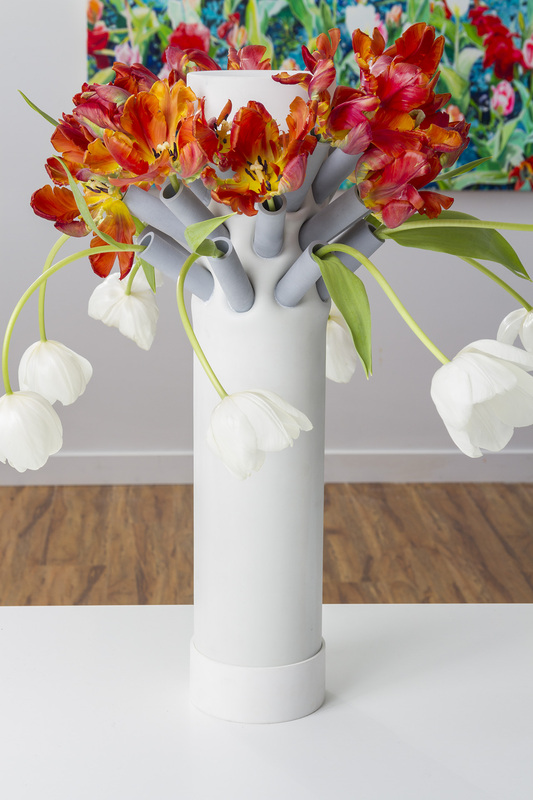 Brad Tinmouth’s sculpture, Tulipiere, is derived from his research on Tulipmania. Tulipmania was a brief period of time where Dutch tulip bulbs fueled what is considered the world’s first speculative economic bubble. 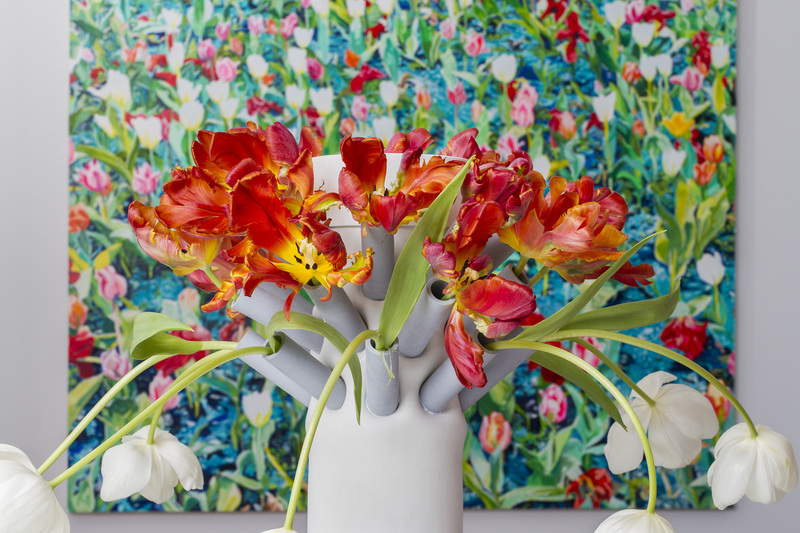 Tulips plagued by a colour breaking virus that caused vibrant streaks of colour to appear in the flowers petals began selling in a newly amassed speculative contract-based market. In 1637, a single Semper Agustus bulb (red and white blended petals) had reaching a peak price of ten times the wages of a skilled worker. As tulip price plateaued these contract holders found themselves holding highly inflated paper shares of still ungrown bulbs and no clients willing to pay the over-inflated reseller’s price. This caused a major crash in the market leaving thousands with nothing but beautiful ‘broken’ tulips. 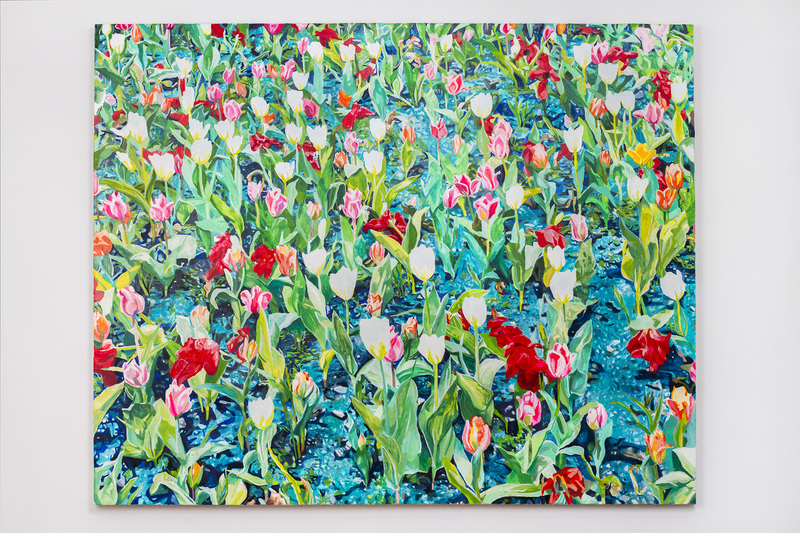 Interestingly, because the price of tulips had risen to such heights, it became such that it was much more affordable to purchase a painting of tulips than it was to buy actual tulips, fueling the art market that resulted in the Golden Age of Dutch painting. 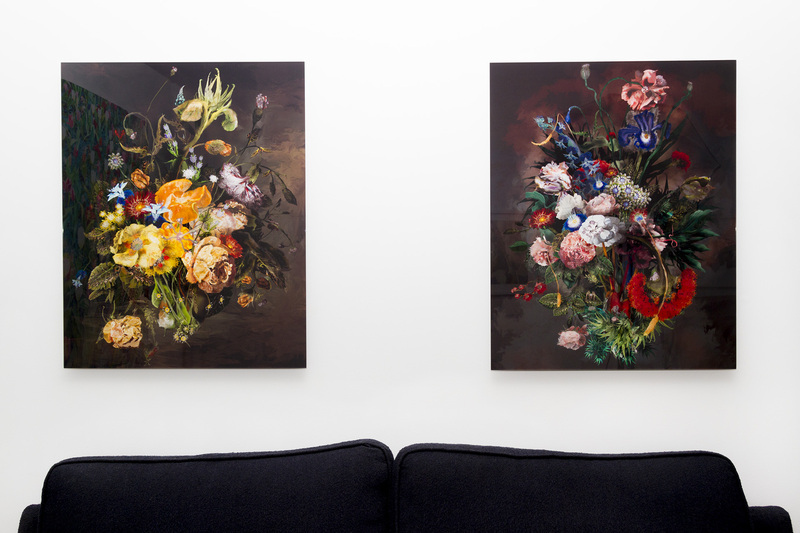 Two transmounted cibachrome prints from Christopher Rodrigues’ series of Still Lifes refer to the oil paintings of Dutch masters Coenraat Roepel (Still Life with Flowers, 1721) and Rachel Ruysch (Still Life with Flowers on a Marble Tabletop, 1716). The cibachrome medium is an additionally significant choice as the silver particles of the photograph echo the metallic particles mixed into the paints by these masters. 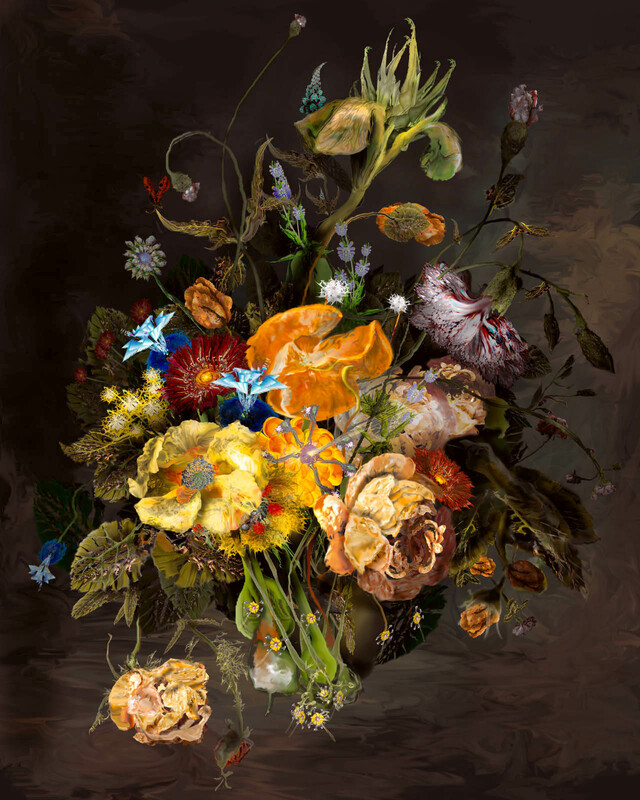 The use of Photoshop as a medium allows for techniques that resemble collage and painting while “borrowing” pixels of color from images found on the Internet using search engines and scanned from his own paintings; he entirely absents the camera from the artistic process. 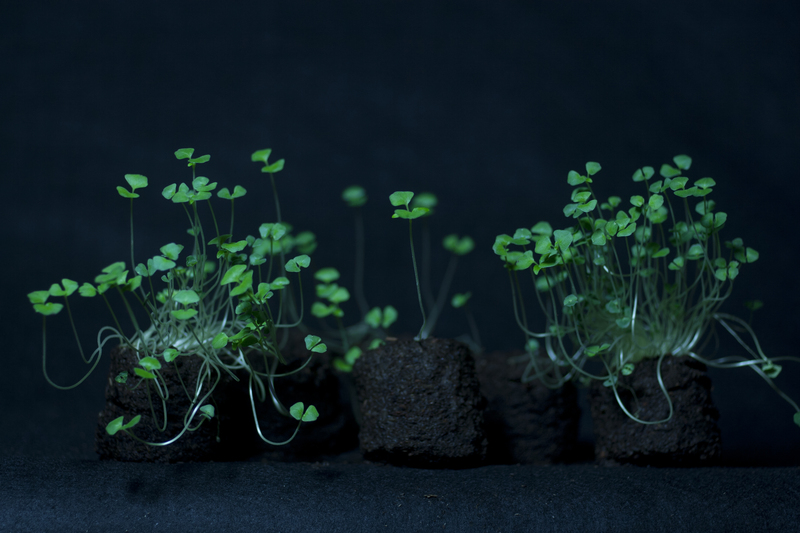 Sean Alward’s work utilizes the inherent light sensitivity of plants in order to make photo prints. 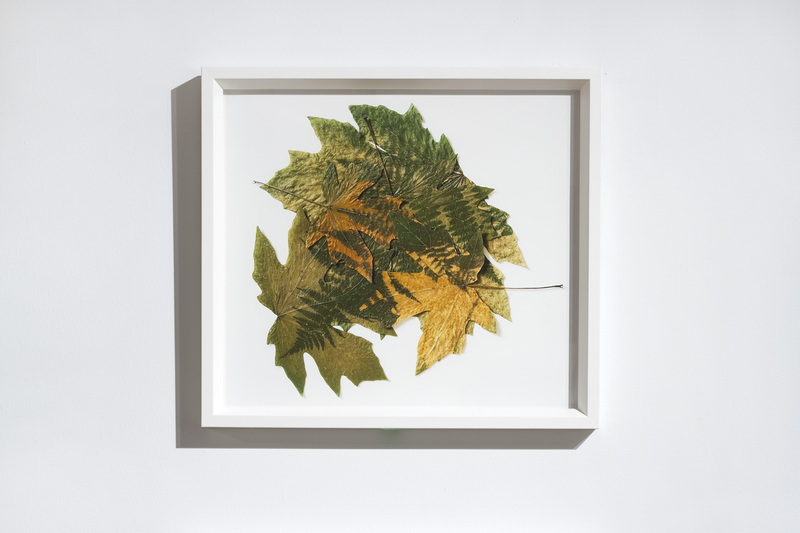 In one body of work, leaf surfaces act as an analogue for photographic paper and chlorophyll assumes the role of silver halide. 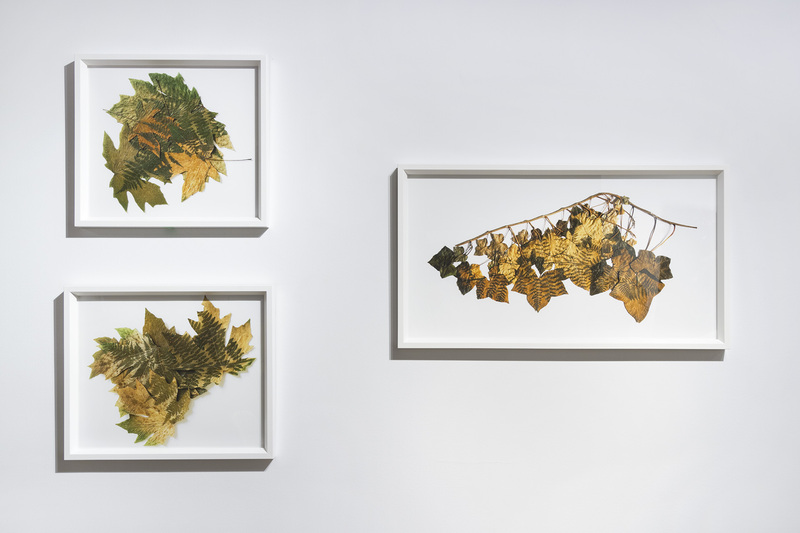 For his Double Invasive series, the artist took samples of English ivy and Norway maple, plants considered by local ecologists to be invasive, and used their leafy surfaces to “photograph” indigenous ferns such as lady fern and Athyrium filix-femina. 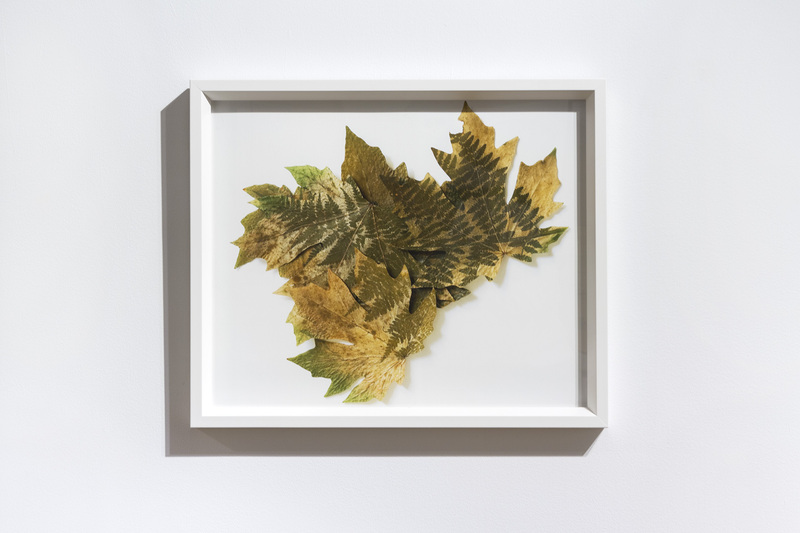 The leaf prints are then scanned as a way of “fixing” the fugitive images from the leaves. 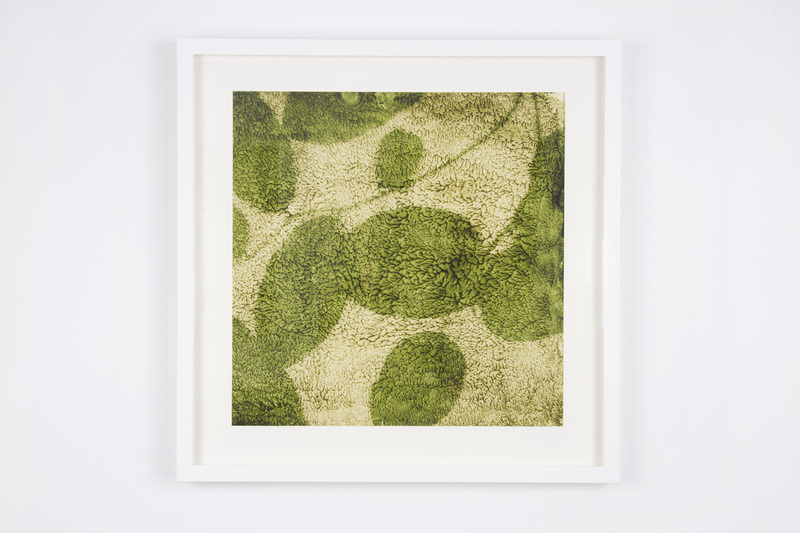 In a second series, Salal, Alward made a photo emulsion of extracted plant chlorophyll applied to sheets of paper. 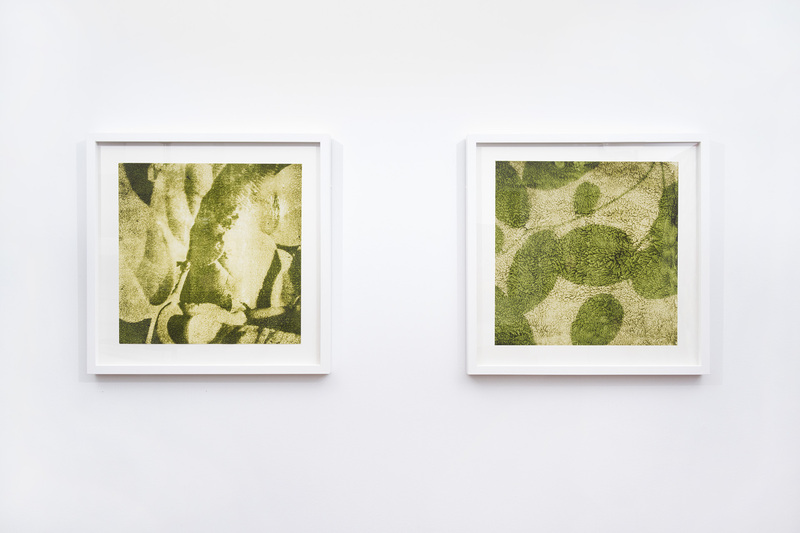 On these surfaces he made solar contact prints, then scanned the results to fix the fugitive images, and printed them again on paper. This project originated while reading a diary entry made by the Scottish botanist David Douglas, who wrote that the first thing he saw and touched when he landed on the coast near the mouth of Columbia River in 1825, was salal (gaultheria shallon). This date coincidentally corresponds with the early photographic experiments of Nicephore Niepce in France, who is credited with creating the world’s first fixed photographic image. Sean Alward completed his BFA at the Nova Scotia College of Art and Design and MFA at the University of British Columbia. 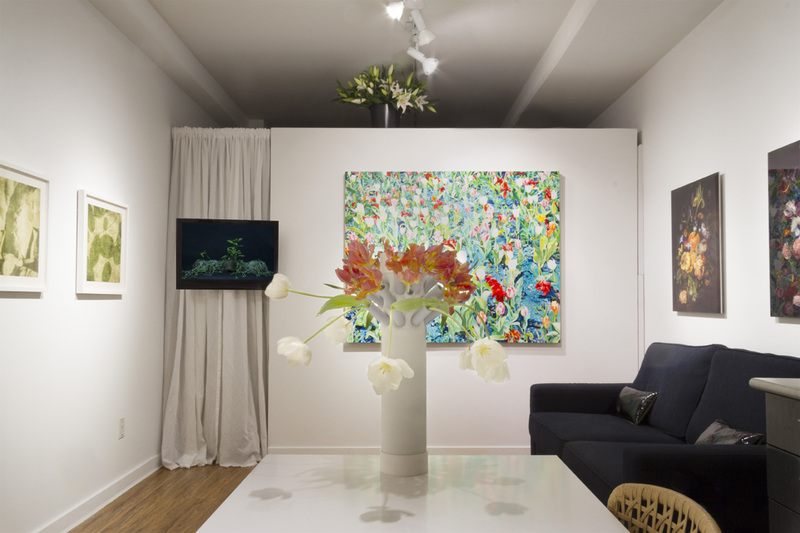 He has exhibited in Canada, internationally, and lives in Vancouver, B.C. 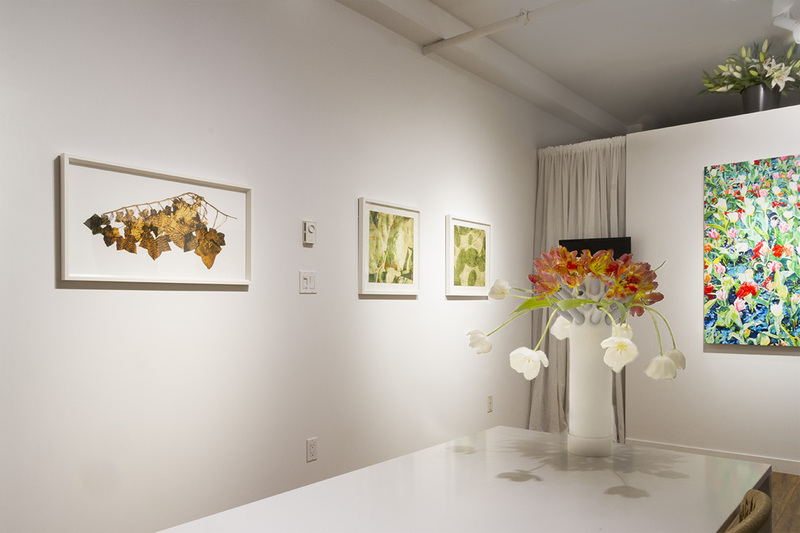 He recently presented a two-part solo exhibition called A Vertical City Goes Both Ways at Access Gallery in 2013. Michael Drebert graduated from Emily Carr Institute of Art and Design and completed his MFA from University of Victoria. 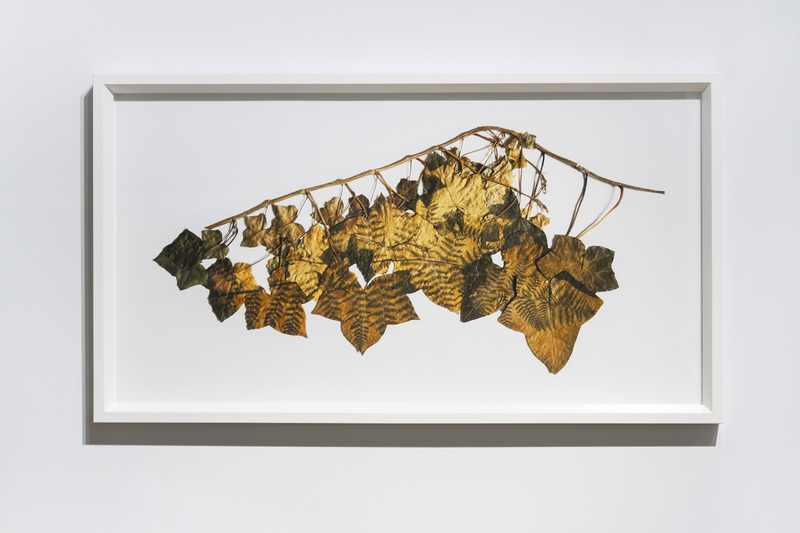 His work has been included in exhibitions at the Vancouver Art Gallery, Contemporary Art Gallery (Vancouver), Western Front, Helen Pitt Gallery, Hard Scrabble Gallery and Blanket Gallery, among others. 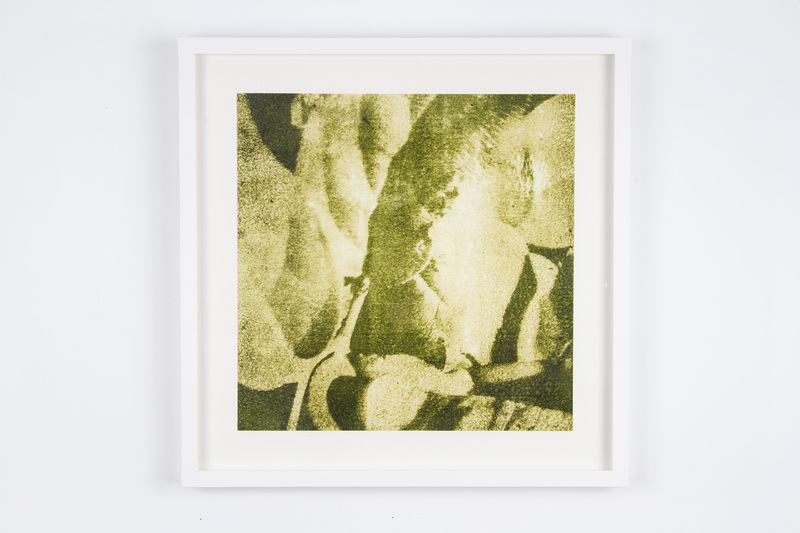 Jeffrey Hallbauer completed his BFA in 2009 at Emily Carr University. 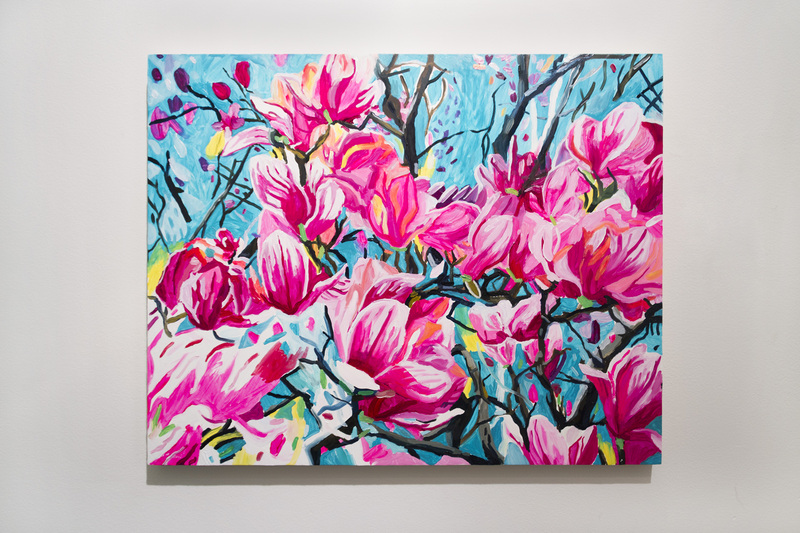 In 2010, he had his first solo show Maddy at GAM Gallery in Vancouver. He has participated in numerous group shows, including at Radical Spirits, Leo Koo Gallery and with the Gropps artist collective. 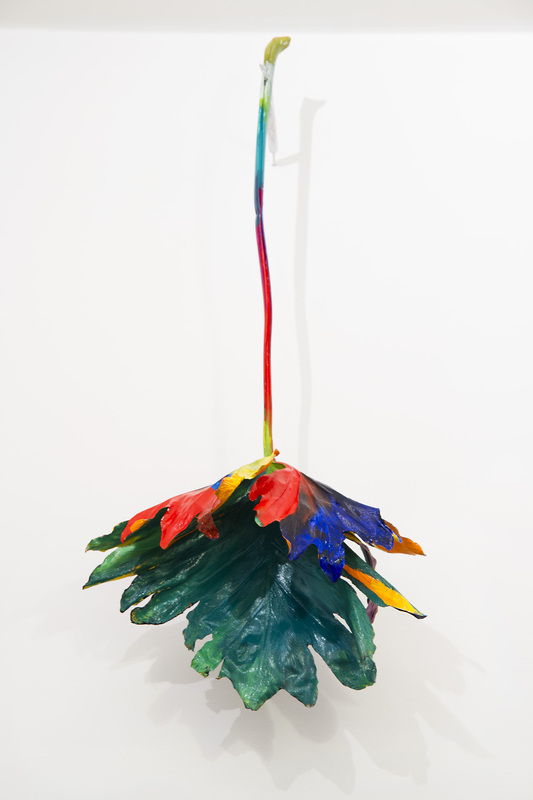 Hallbauer works mainly in painting and sculpture and is interested in making the mundane profound.